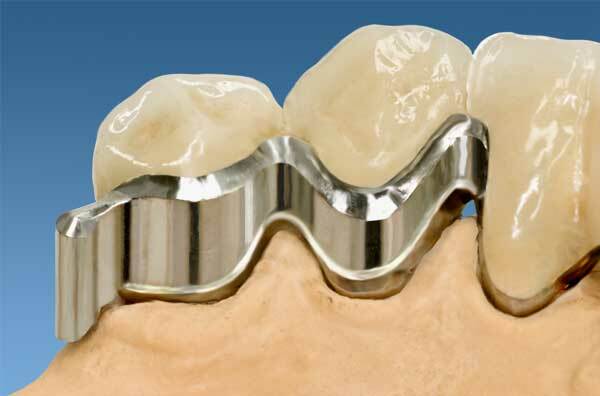 In this last article we looked at telescopic or double crowns and their application in the production of removable dentures. There are some different solutions of making unvisible dentures. Here we will consider another alternative: Attachments that also make use of precision milling. Each piece of dental technical work requires meticulous planning and this is particularly the case with combination work. You need to take into account the number of abutment teeth, their condition, the required interlocking and last but not least, the number of required attachments. 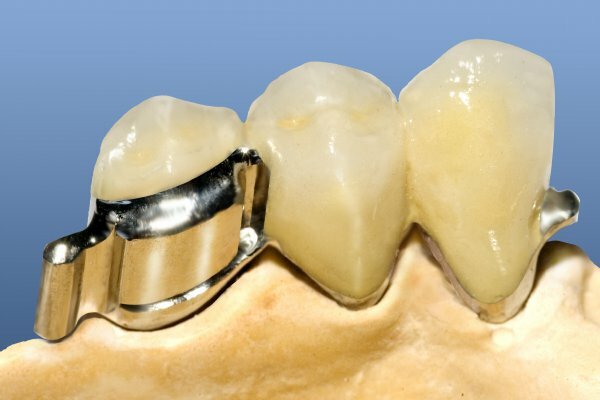 As with any crown or bridge, the work on an attachment begins with the preparation of the abutment teeth. The individual abutment blocks are taken into account when determining the alignment direction for the attachment. The alignment direction is determined in exactly the same way as for the planning of individual small bridges. Circumstances permitting, it is beneficial to create a bit more space on those dental surfaces where the attachments are to be fixed to bring the male components as close to the tooth axis as possible to avoid the creation of damaging lateral forces. 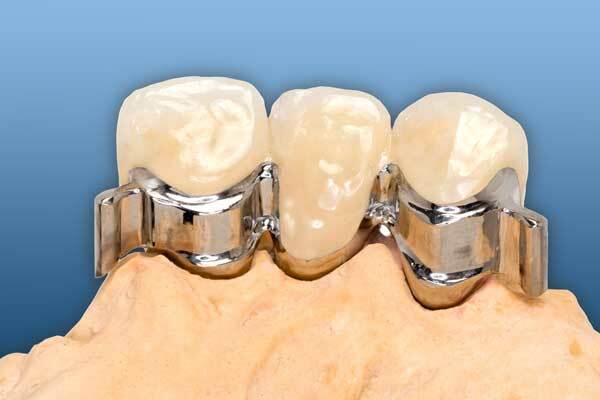 Attachments are elements for linking removable prosthetics with existing teeth (abutment teeth). These require crowns in order to accept the attachment. They can be used with removable prosthetics and with crown and bridge techniques. They comprise a primary element that is permanently cemented in the oral cavity and the secondary component that is firmly linked with the actual prosthesis. Attachments are divided into two groups, intracoronal attachments (within the crown of a tooth) and extracoronal attachments (exterior to the tooth crown). Both types are available either as prefabricated attachments i.e. they are manufactured commercially and are then without any changings ‘assembled’ by the dental technician. They can be obtained in a wide variety of shapes, sizes and materials. Alternatively, there are bespoke attachments, which are wholly prepared in the laboratory, though sub-units can be incorporated during construction. Whether prefabricated or bespoke, an attachment is always made of a male and female part. Both parts slide together during the insertion of the prosthesis and result in a firm connection. 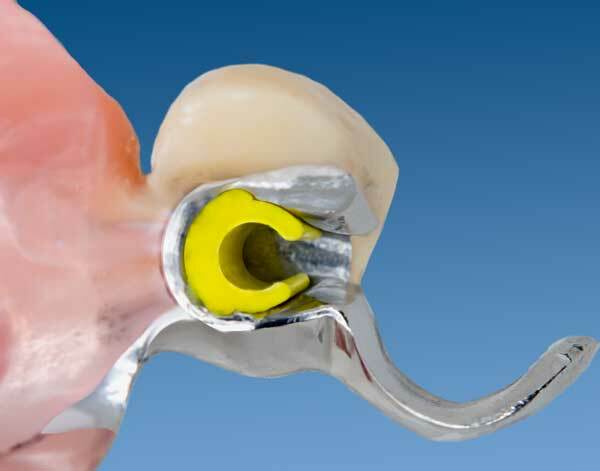 Attachments for removable prostheses are generally enhanced by the addition of a stress breaker. • Intracoronal attachments require a lot of space during preparation = loss of tooth material. • Extracoronal attachments placed at too great a distance can result in unfavourable lever and pressure distribution. 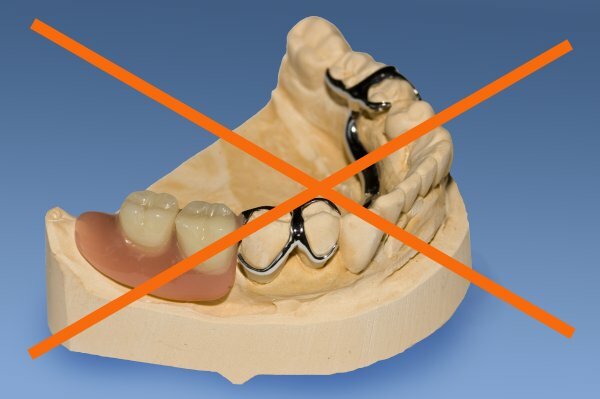 • A loss of an abutment tooth at a later date does not permit a restoration of function. • Price disadvantage to telescope (double crown) solutions with two crowns or less. Bespoke attachments require a high level of competence in milling and casting methods; however, they can be adapted to nearly all situations. If you compare the costs of prefabricated standard-sized attachments versus the bespoke attachments, (taking account of the work involved), then the cost difference is negligible as you either pay more for the parts with one or the labour with the other. I’ve worked almost exclusively with ROD attachments over the past 20 years. An individual attachment is an extracoronal connective element, which impresses through its simple functionality and longevity. 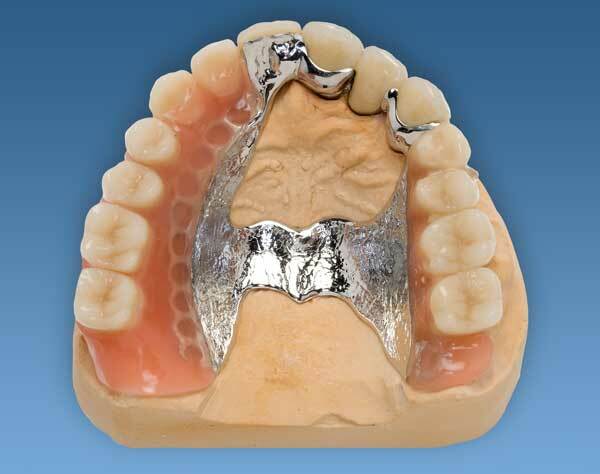 The male part is supplied as a modelling accessory and is cast together with the abutment crown. The female component is made from a Teflon wear-resistant synthetic cap, which is available in three different frictions. Additionally, the adhesive strength can be adjusted via the length of the female component. 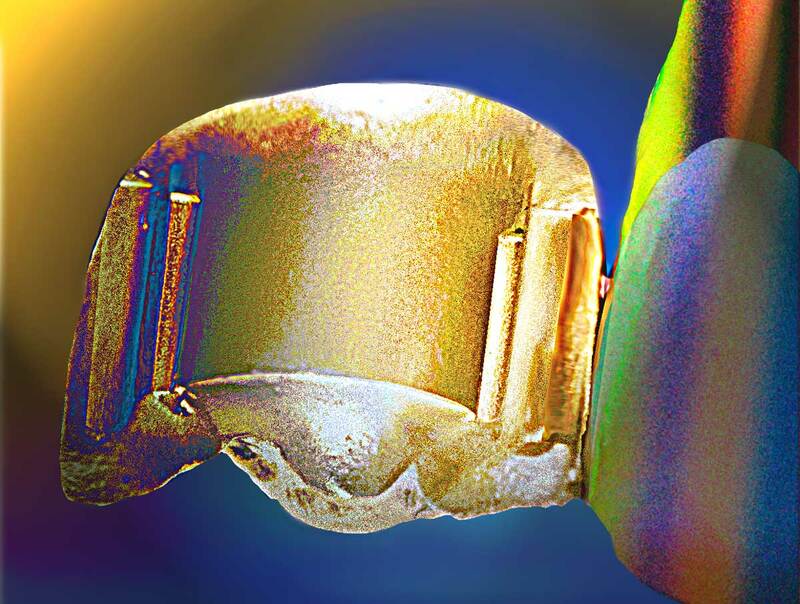 abutment teeth, attachments, claps, Dental, German Crown, intracoronal, longevity, overdenture, precision connecting element, precision milling, pros and cons, prosthesis, removable denture, RSS, Teeth Are Us, Teethrus, Ulrich Heker. Lesezeichen.